Entertainment Tunde ednut lambast Tboss brother Christopher, calls him a serial killer. Tunde ednut lambast Tboss brother Christopher, calls him a serial killer. 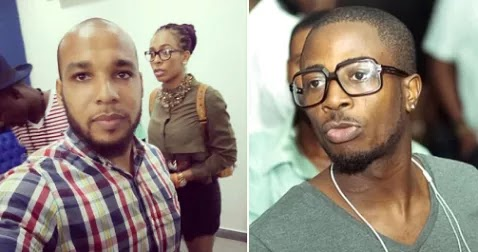 TBoss’ brother, Christopher who recently lambast Tunde Ednut, over what the ace producer wrote about his sister on instagram which lead to outrageous social media war. Just this morning, Christopher's colleagues in school shared a report about him being a serial woman beater. In an attempt to get back at him, Tunde Ednut took the issue to a whole new level and decided to throw words at Chris.. Here’s what Tunde Ednut wrote..